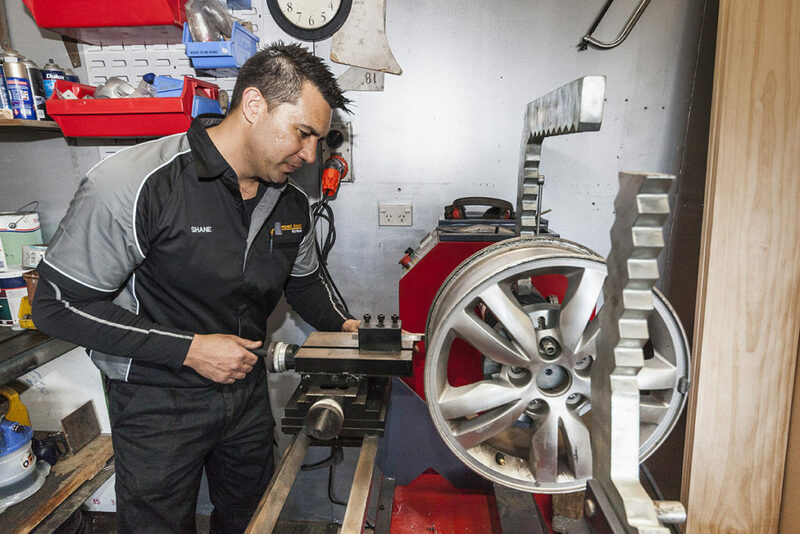 Real Deal Tyres have the latest technology in rim-straightening in Northland with their Carmec PRC2400 Hydraulic Rim Straightener with Lathe. This bit of technological superiority allows Real Deal to straighten 10” – 24” steel and alloy wheels. With a maximum punch force of 5000kgs, not many rims will resist the pressure to be returned to shape, which is good news. One of the common wheel-oriented WOF failures is due to out of shape rims. If the kerb came up too quick, or you’ve done the big dive and bounce through one of Northland’s infamous pot holes, it’s possible you’ve damaged a rim. That used to mean you need to purchase a whole new wheel, but with the Carmec technology, Real Deal can straighten your rim for a fraction of the cost of a new wheel. It’s likely also that if the rim is damaged, the tyre will be too. It’s rare to damage the rim without also ruining the tyre, so you’re in the right spot to get yourself back safely on the road. 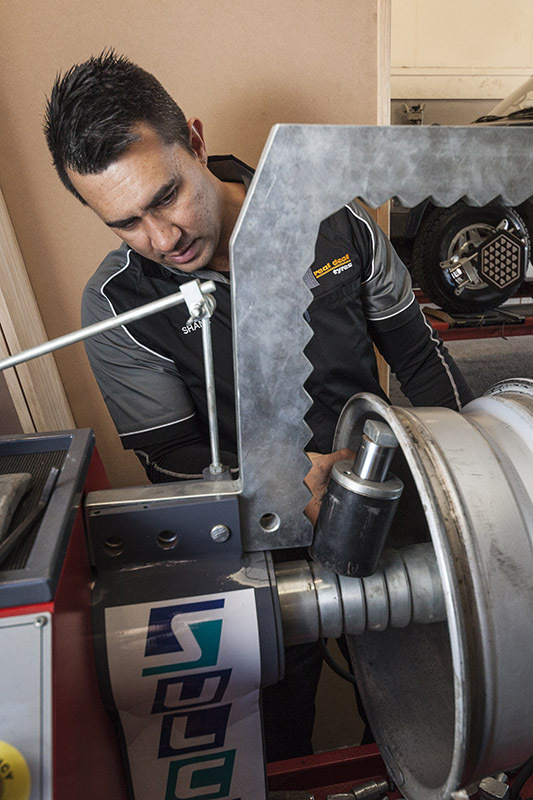 Wheel Alignments are important to the handling capacities of your vehicle and it makes financial sense when you get new tyres to also have your wheels aligned. Then your vehicle needs a wheel alignment. We use the latest computerised Hunter Hawkeye Elite Alignment System. This wheel aligner uses four precision cameras to measure the position and orientation of targets mounted to each of your wheels. It takes just 90 seconds to chock wheels and raise the lift to working height for Steve, our expert aligner, mount targets, set air pressure, scan, and print the results. 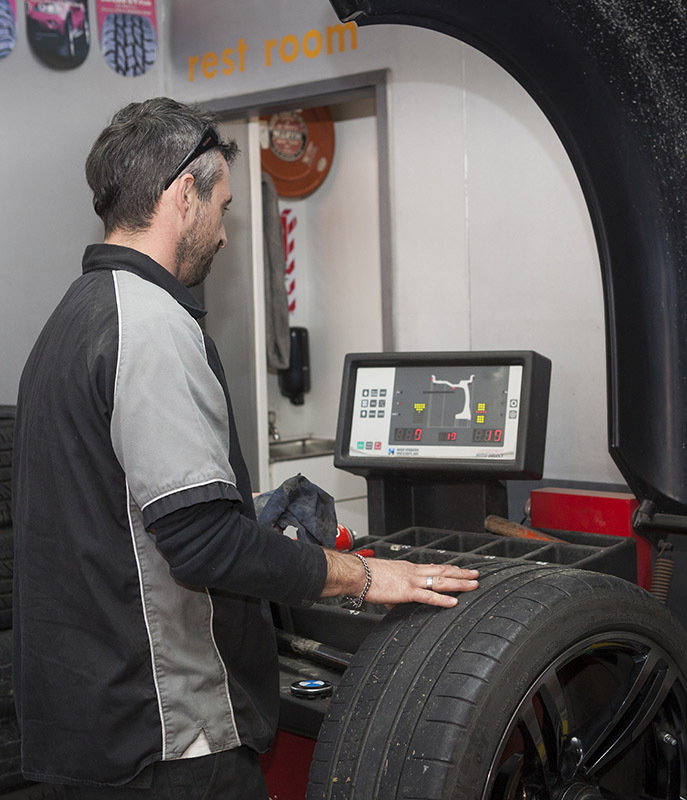 Steve can tell very quickly what total toe front and rear is, what the camber on all wheels is, tyre wear, steering faults, suspension problems and other important factors critical to a precision wheel alignment. If you feel that your brakes or suspension might benefit from an inspection, ask us to have a look at the wheel assembly for you. Your safety is paramount and we suggest you get these checked regularly.